This time of year, there are a lot of sports to choose from on television. With the NBA and NHL playoffs in full swing, NASCAR racing and a still new Major League Baseball season underway, many are heading to sports bars, which have enough screens to watch them all at once. With all of these sports on television, it is almost impossible not to be subjected to a near constant barrage of commercials for testosterone replacement therapy drugs. These commercials tell men who are getting older and losing hair, gaining weight, feeling tired, suffering from mild depression and losing muscle tone (signs of normal male aging) their issues are really symptoms of having a low testosterone count. They can treat this “condition” by taking testosterone hormones, according to drug companies. They have created a pretty compelling advertising campaign. What middle-aged man does not want to feel 20 years younger? As it turns out, United States Food and Drug Administration (FDA) has not approved testosterone replacement therapy drugs to treat aging, but rather a very rare medical condition known as hypogonadism. Patients who suffer from hypogonadism have under-functioning glands and do not promote enough of the hormone. According to a recent news article from Renal and Urology News, testosterone replacement drugs are not even being used by a great percentage of patients who actually suffer from hypogonadism, and the billions of dollars in sales are coming almost entirely from patents who do not need testosterone hormones, and may be getting harmed (by heart disease and stroke) from taking them. One recent study revealed only a small portion of men with hypogonadism take testosterone replacement drugs. Only a small proportion of hypogonadal men receive testosterone replacement therapy (TRT), a new study suggests. Among these patients, less than half receive recommended follow-up tests. Around 9,000 men ages 18-85 had a serum test to determine testosterone levels, and of them only 36 percent showed signs of hypogonadism. In this group, only around 18 percent of men took testosterone replacement therapy drugs, and many of them did not return for follow-up visits with their respective physicians. Follow up visits are necessary to monitor changes in testosterone levels after taking TRT drugs. This seems to create somewhat of a paradox, where millions of people who do not medically need testosterone replacement drugs are taking the hormone in quantities large enough to make billions for drug companies, while at the same time, patients who suffer from hypogonadism, and actually need the hormone aren’t taking it. 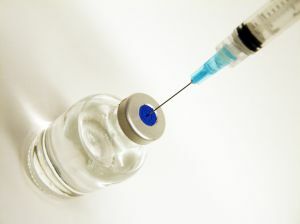 One reason study makers suggested for this significant lack of drug compliance deals with the level of discomfort associating with taking the hormone therapy, an absence of credible studies showing TRT is safe and effective, and patients not being familiarized with prescription drug literature (monographs) associated with the testosterone replacement therapy drugs. Due to the lack of verified studies showing testosterone replacement therapy is safe and effective, many doctors will not prescribe TRT drugs to patients who do not have hypogonadism. As our Boston testosterone injury attorneys understand, many of these patients go to what drug companies have dubbed Low T clinics, where patients can treatment without even so much as a test for a low testosterone level.